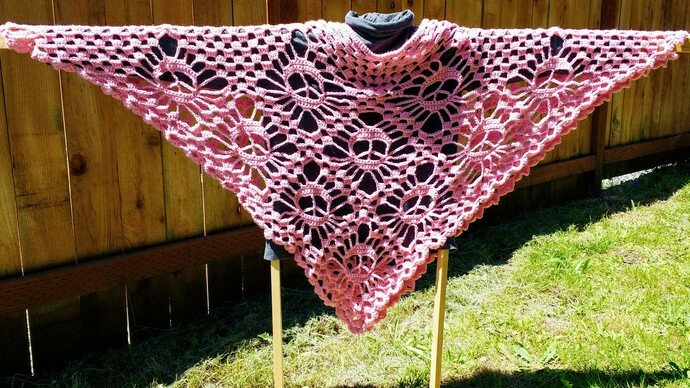 Relive your hippie days, or experience them for the very first time, in this Pretty Pink Peace Sign Poncho. 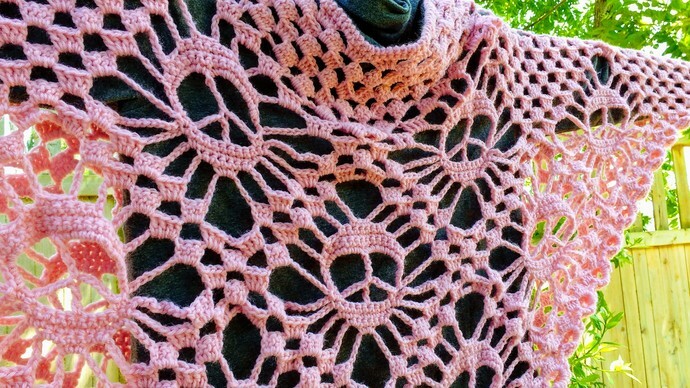 With a generous 63" wingspan (that's the measurement from fingertip to fingertip), this poncho sports traditional granny stitch surrounding peace signs all hand stitched with love. It's topped off with a granny stitch v-neck. 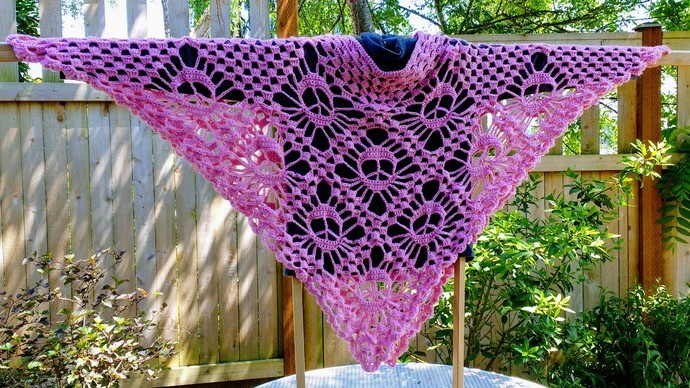 This poncho is made of soft, easy care acrylic yarn. It can be machine washed and dried. I recommend drying flat to best maintain the shape of the poncho and prevent wrinkles. Due to a flaw in the yarn (you'll probably never find it), this poncho is listed at a discounted price of $75. Normally, solid color ponchos in this style will be $130, and variegated ones will be $150. 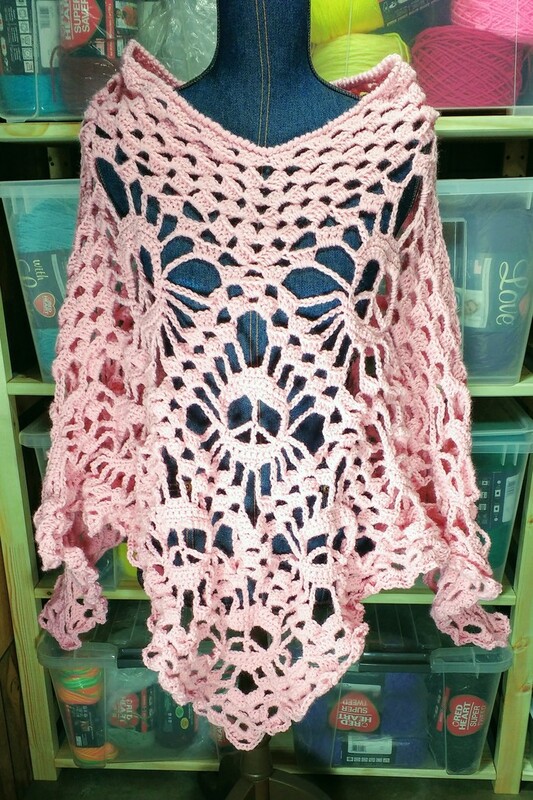 I'm happy to discuss custom orders for peace sign or skull ponchos in this style in your choice of color. Use the contact button on the site to let me know your poncho desires. 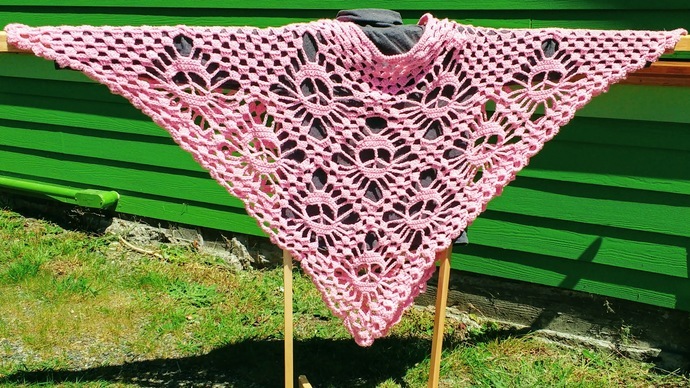 See https://goo.gl/photos/4R29u257DuyMSvLo9 for other examples of shawls I've made, including a mini skull shawl. 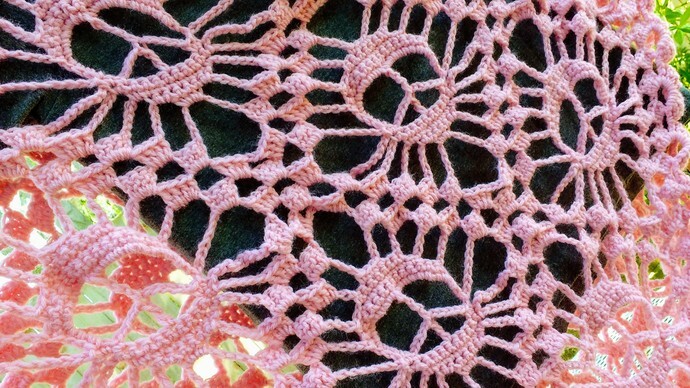 I'm always happy to remake a shawl in another color to suit your needs.